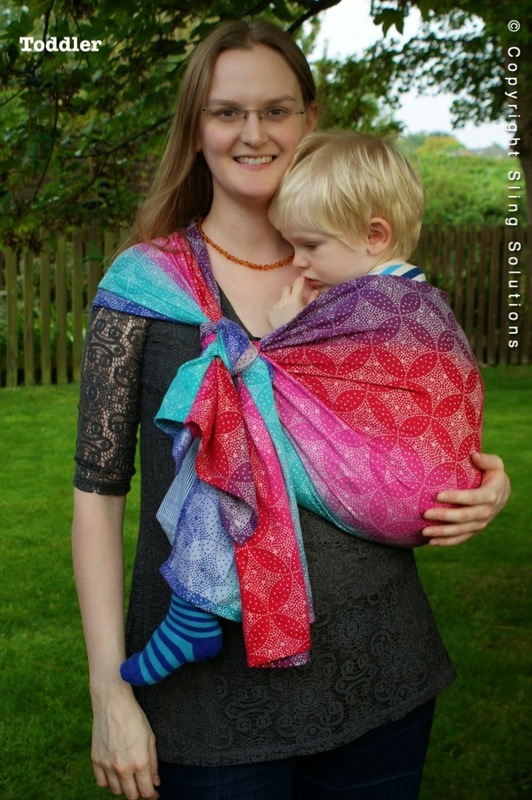 We have lots going on over December, with several sling meets, workshops and a talk. 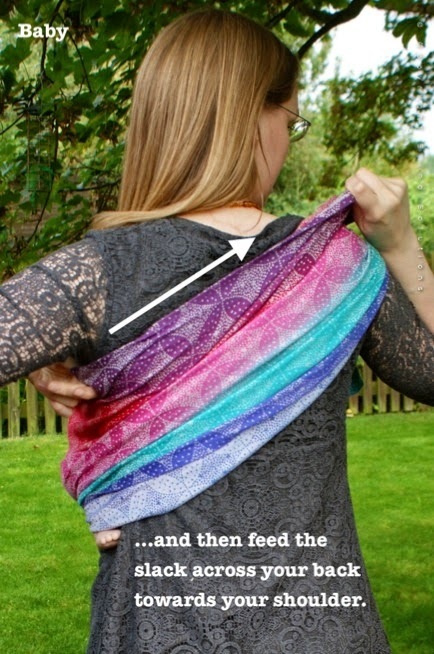 Check out the Facebook page for more details! 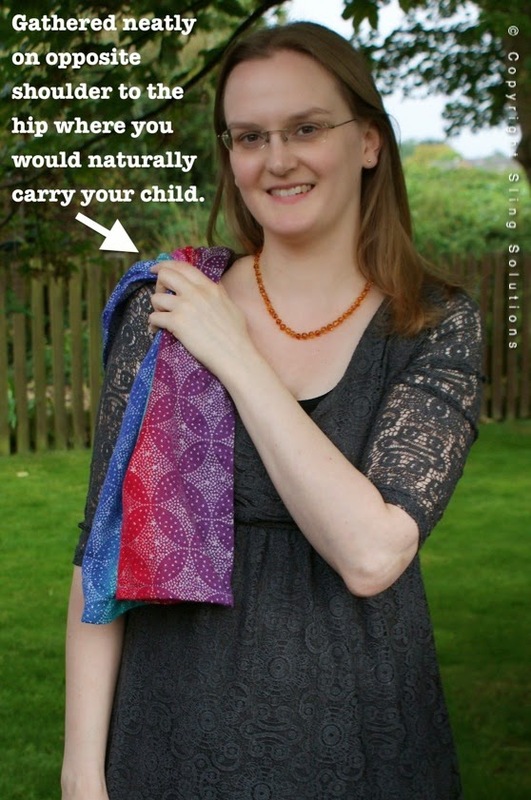 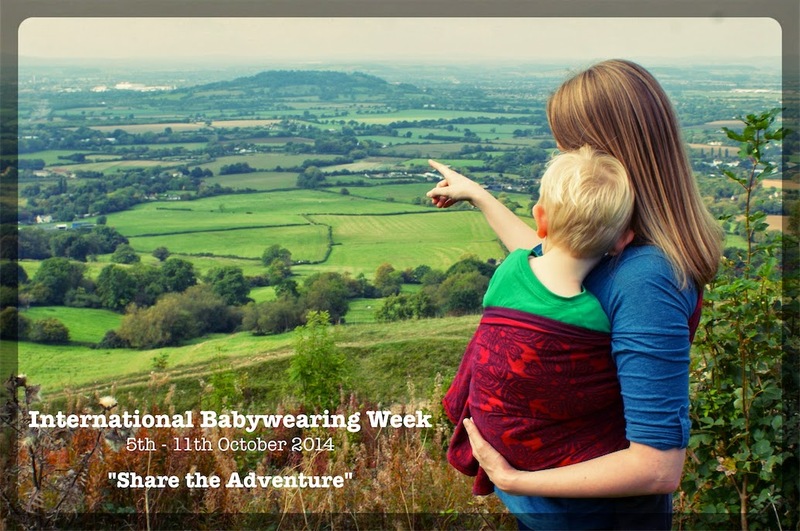 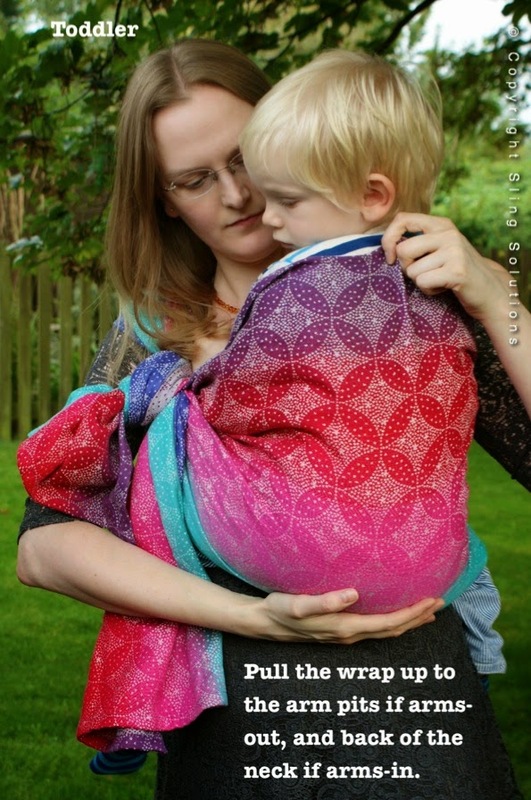 Here is our full schedule of activities for International Babywearing Week. 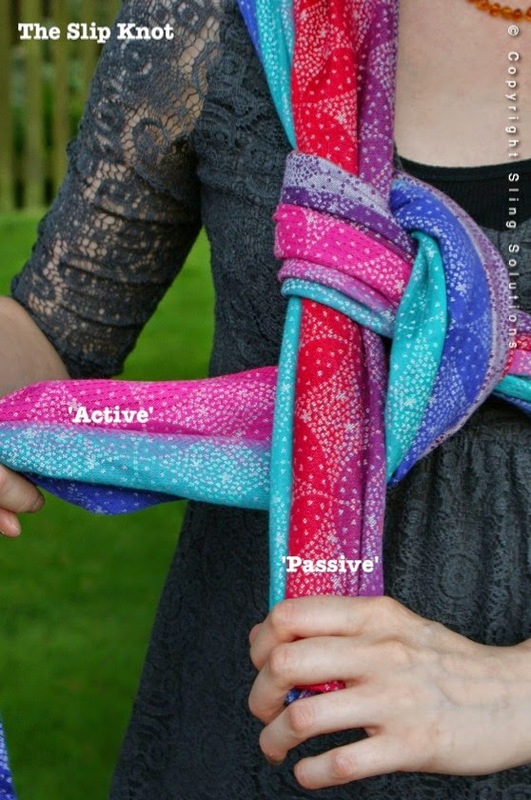 It look as if its going to be a very fun, busy week! 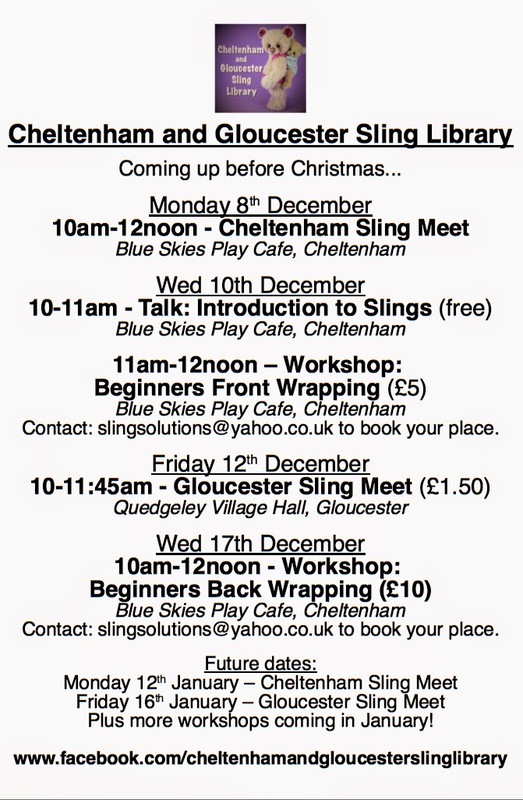 The workshops are held at Blue Skies Play Cafe in Cheltenham. 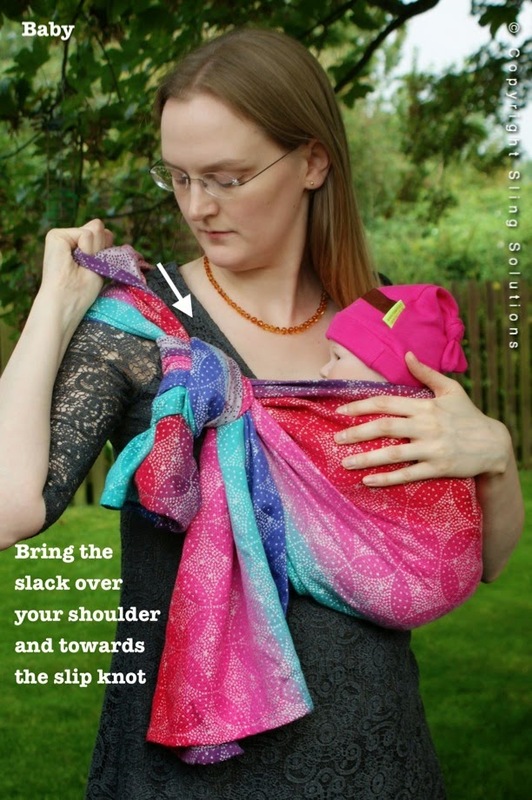 All slings for the workshop are provided (although feel free to bring your own sling with you), and various demo dolls are available to practice with. 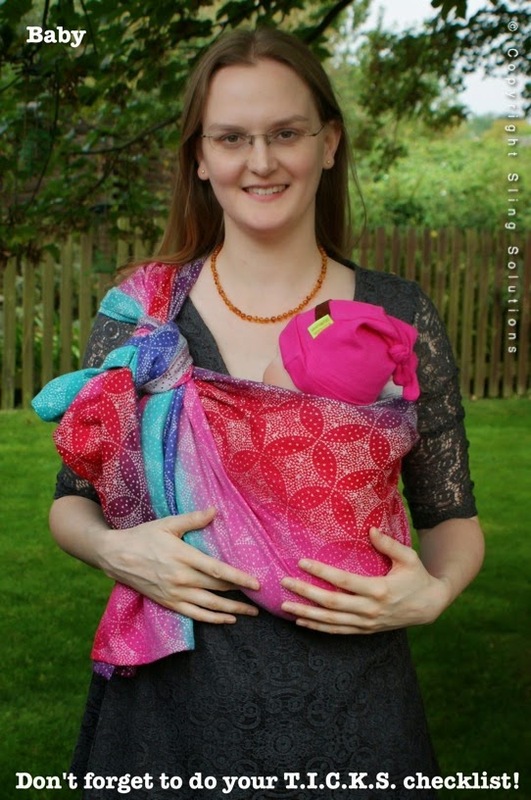 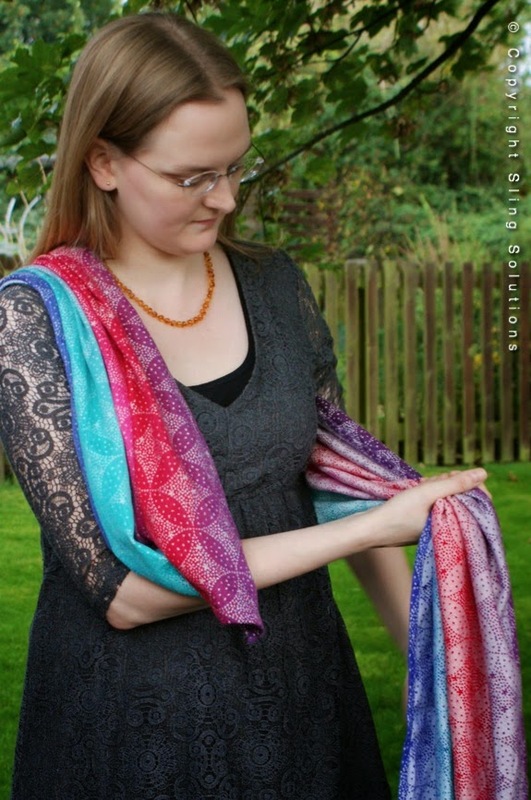 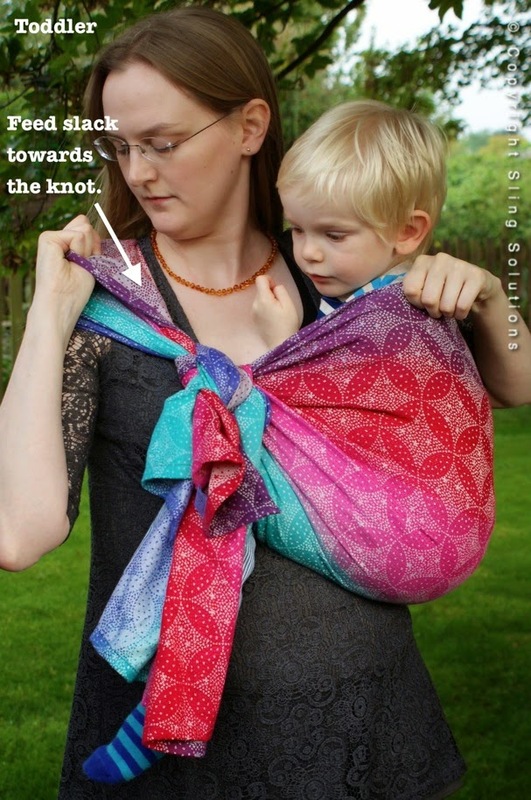 Slings are available to hire from Cheltenham and Gloucester Sling Library after the workshop if you would like to continue practising at home. 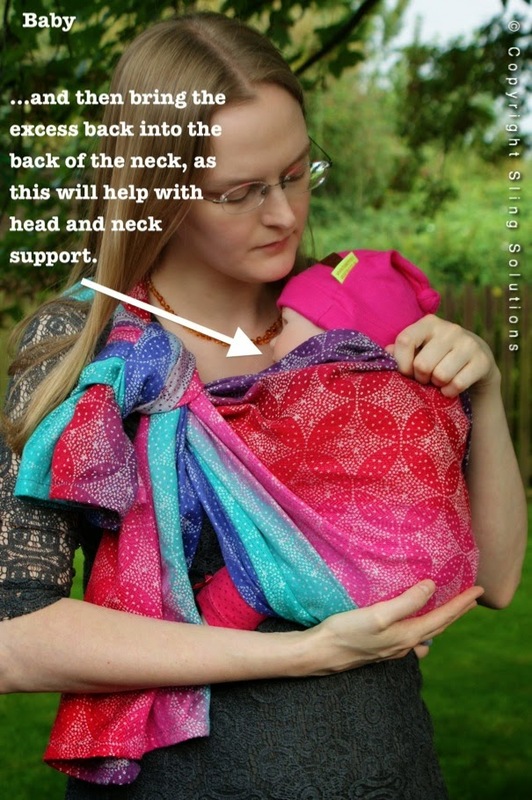 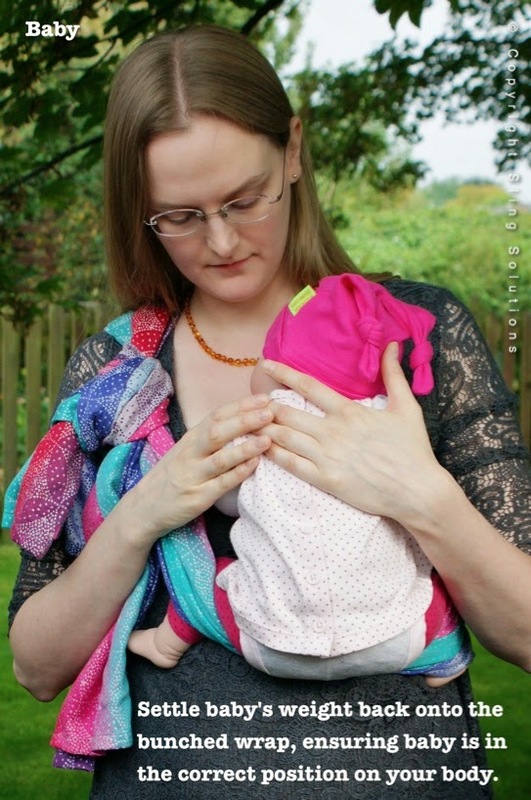 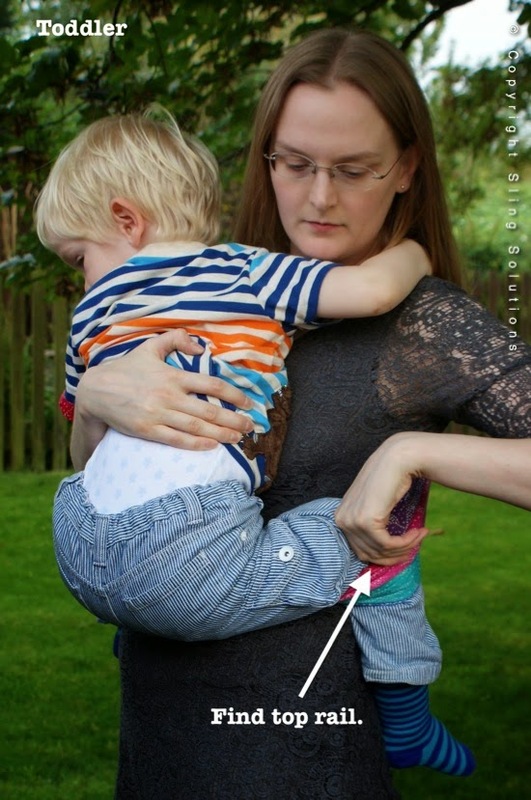 This talk will give an overview of the different types of slings available, a range of demonstrations, sling safety information and an insight into baby physiology. 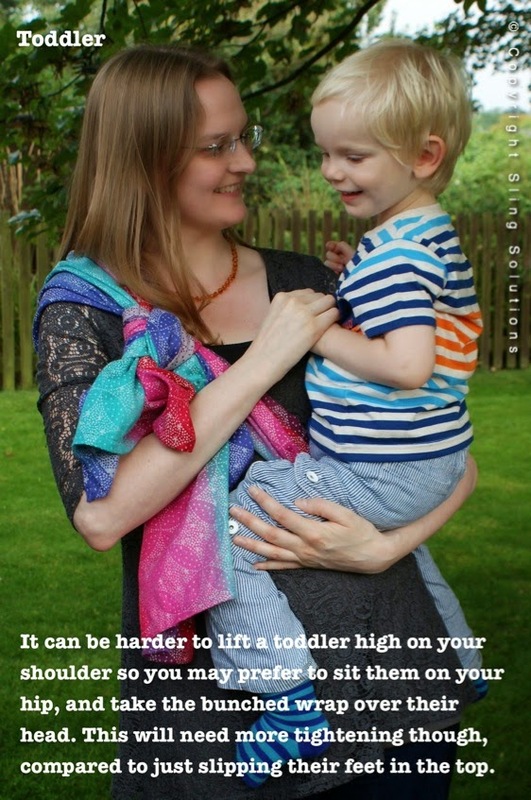 Babies and children are very welcome to come along to this talk. 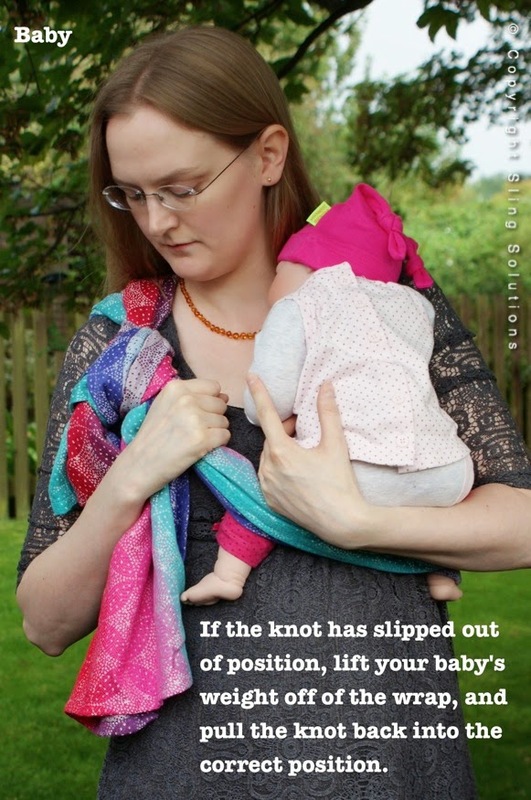 expectant parents are also very welcome to come along and practise with a demo doll, so that you have the skills ready for when your baby arrives. 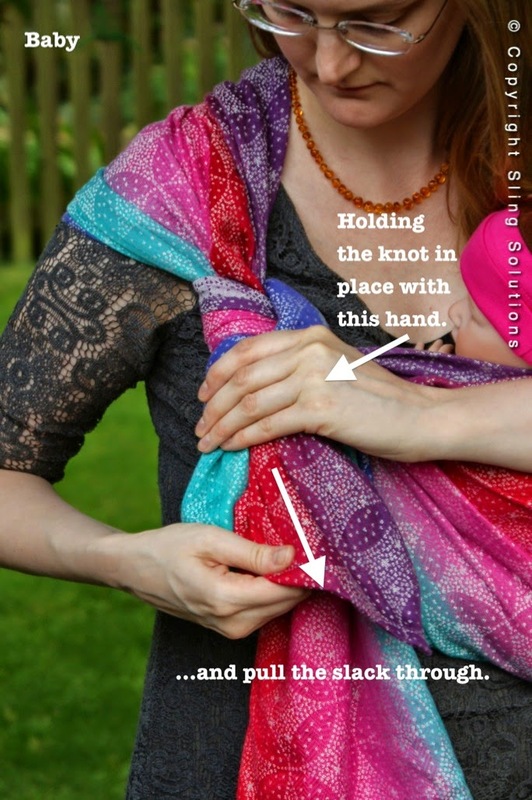 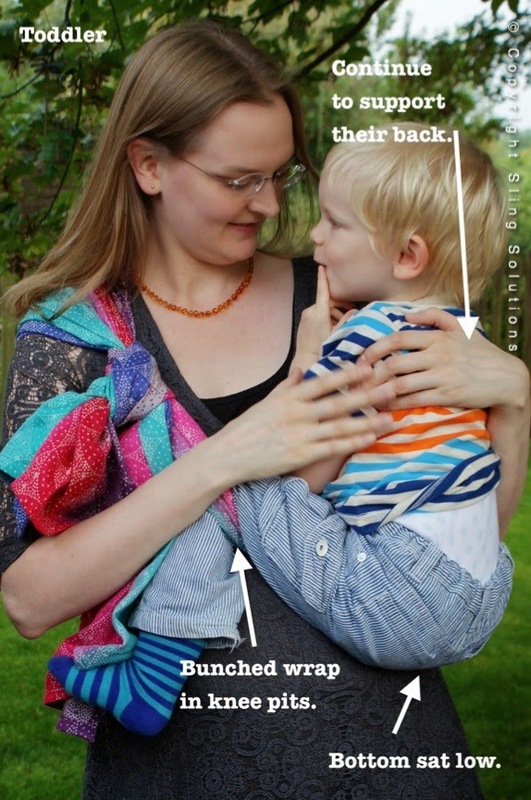 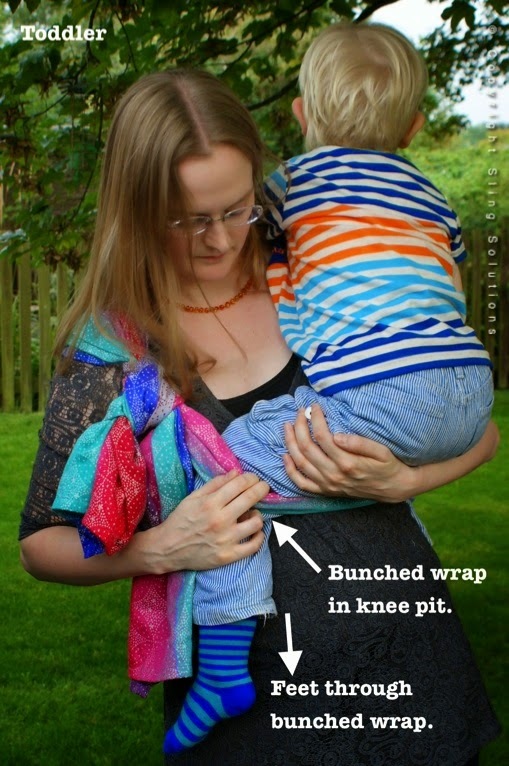 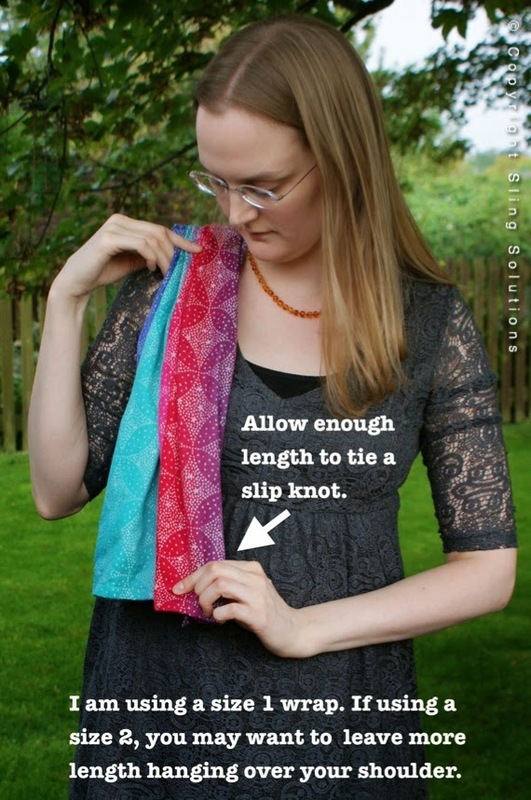 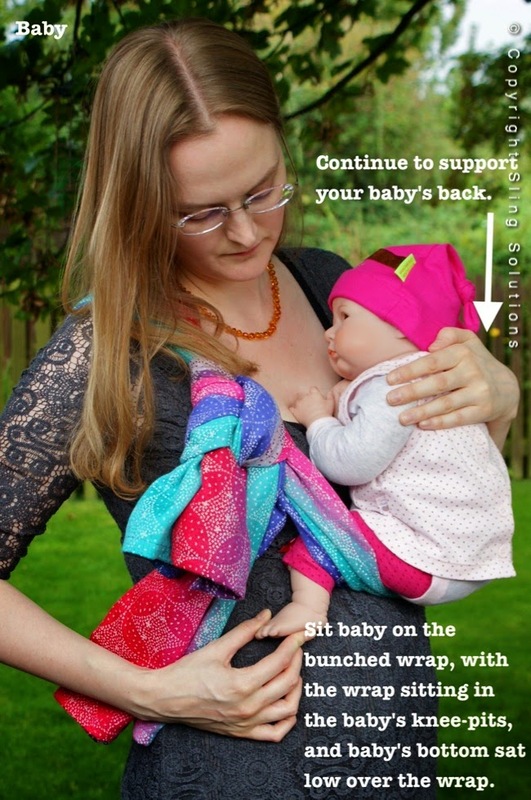 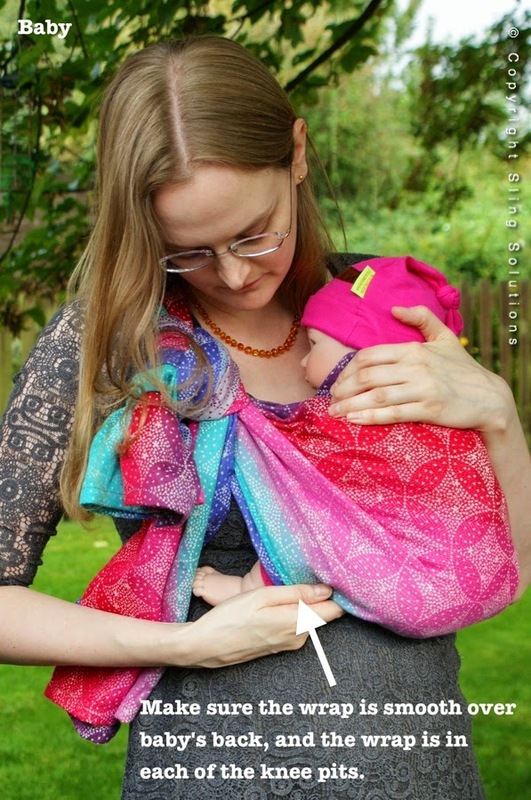 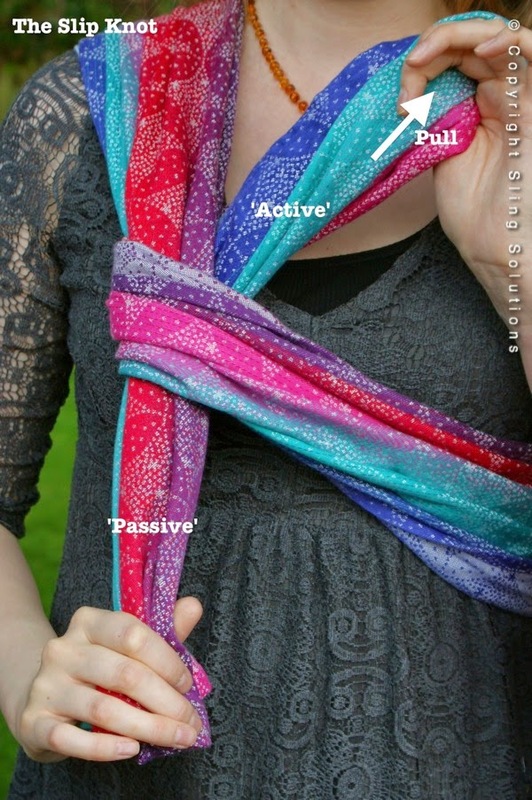 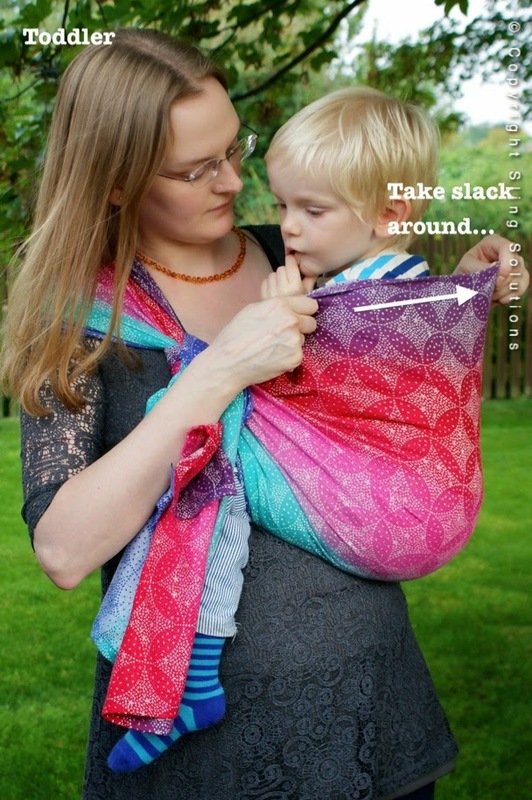 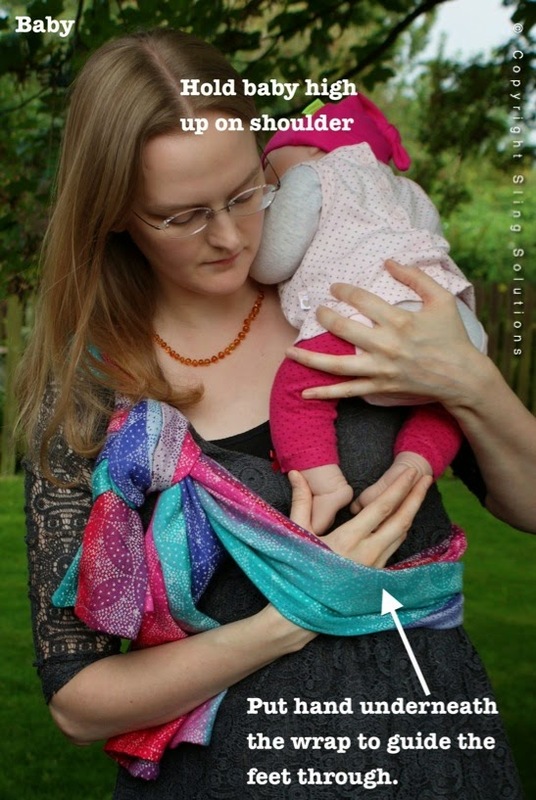 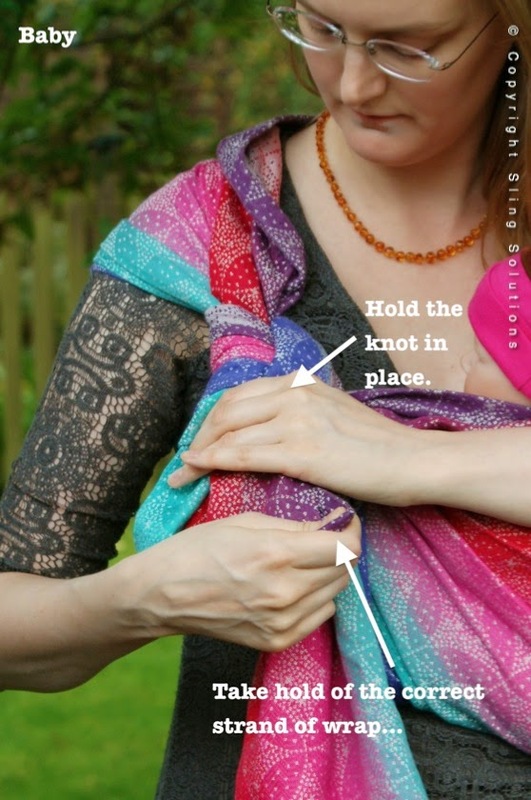 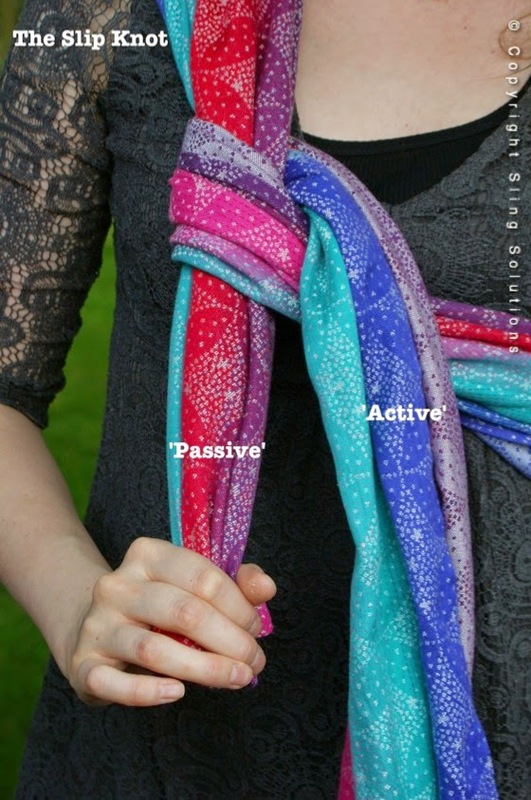 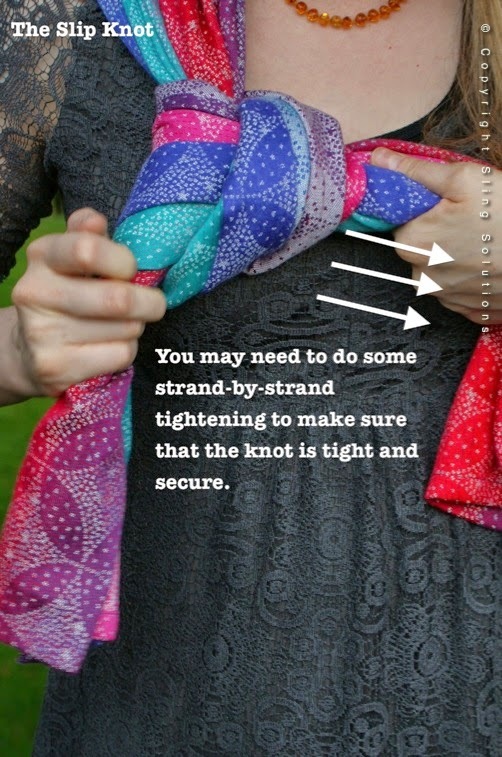 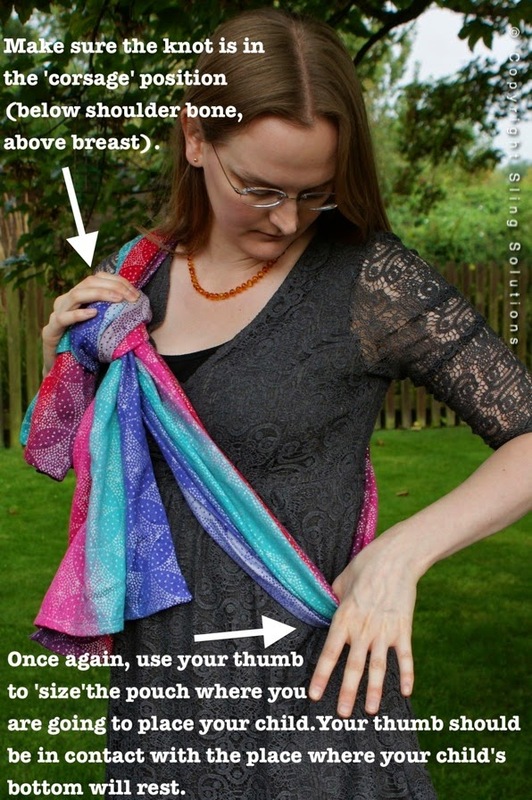 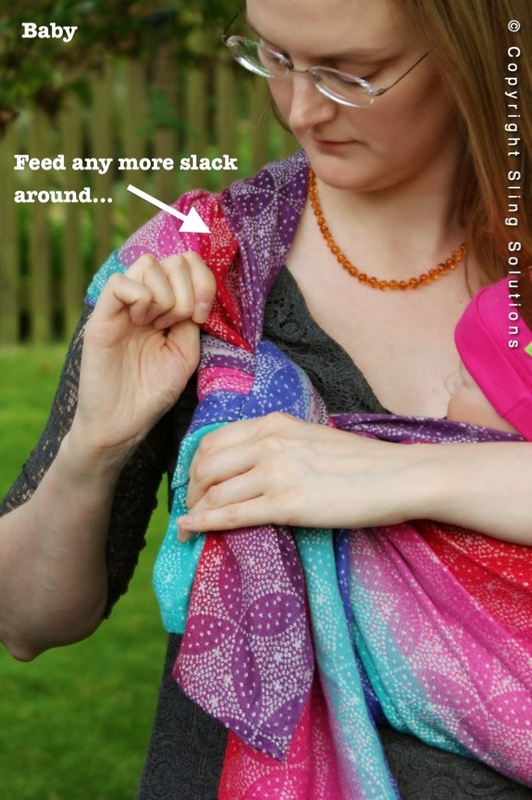 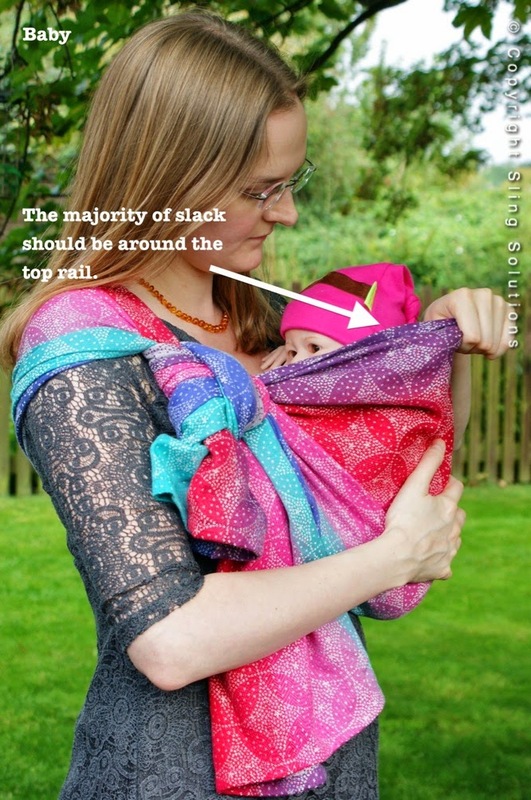 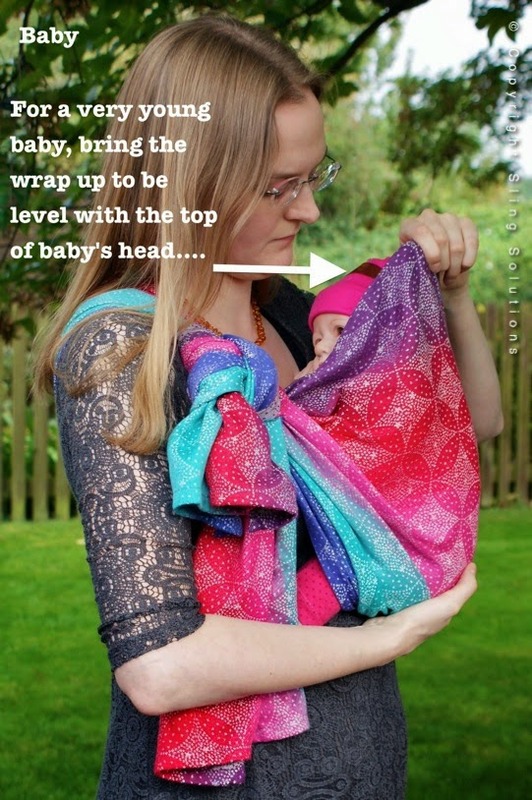 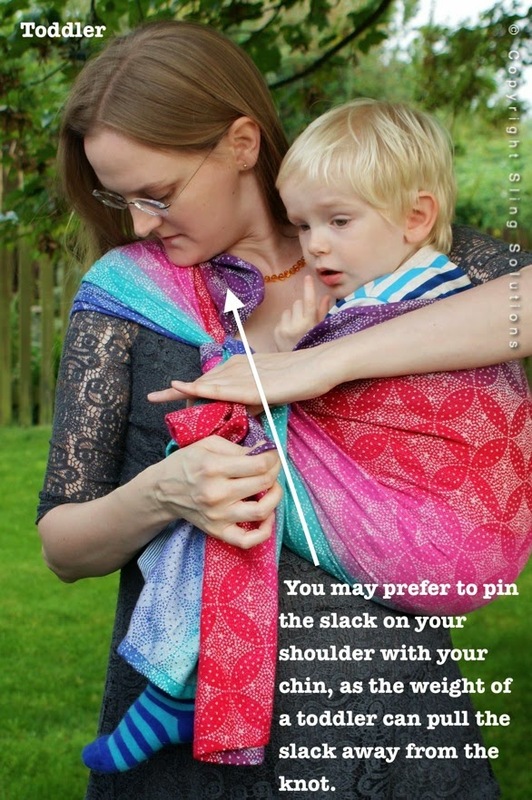 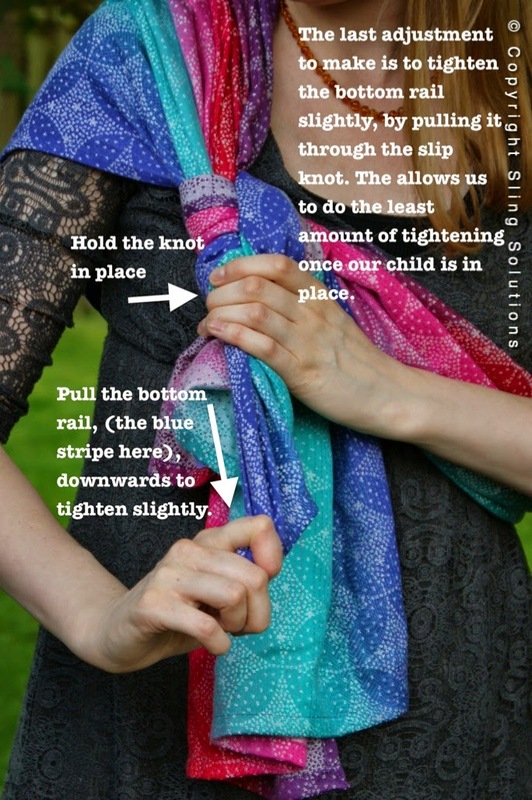 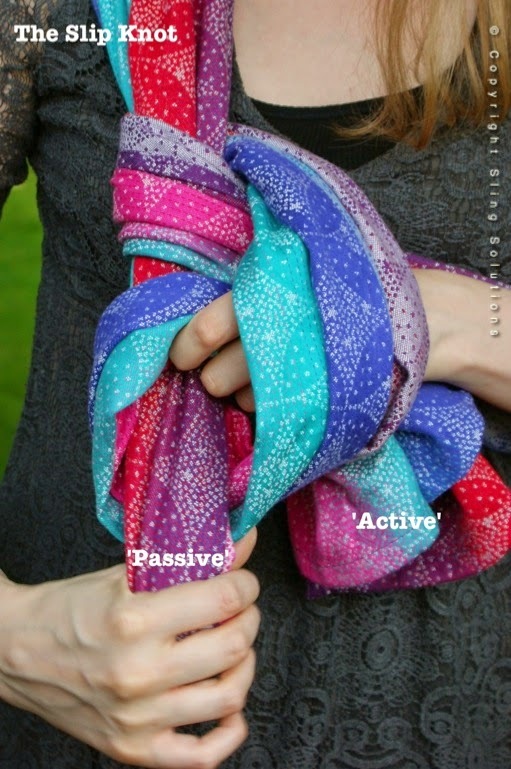 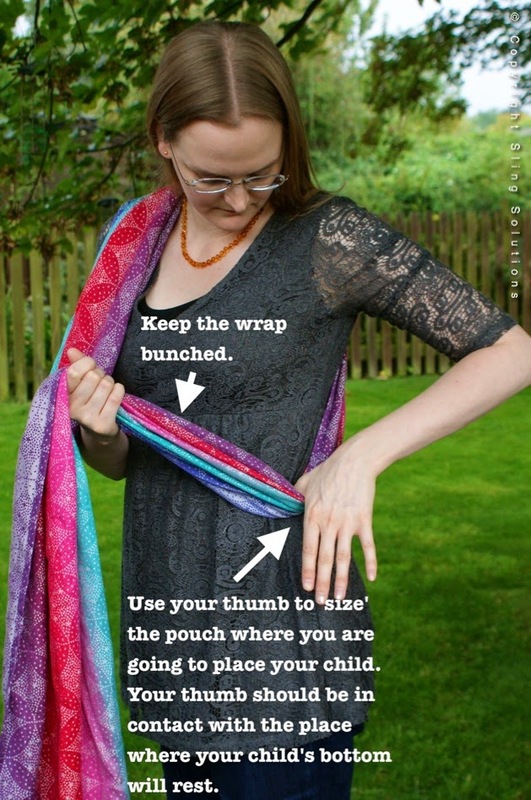 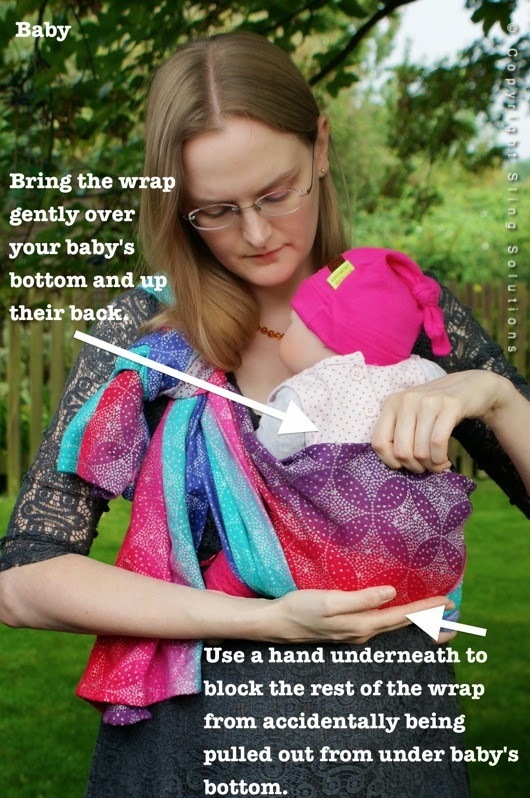 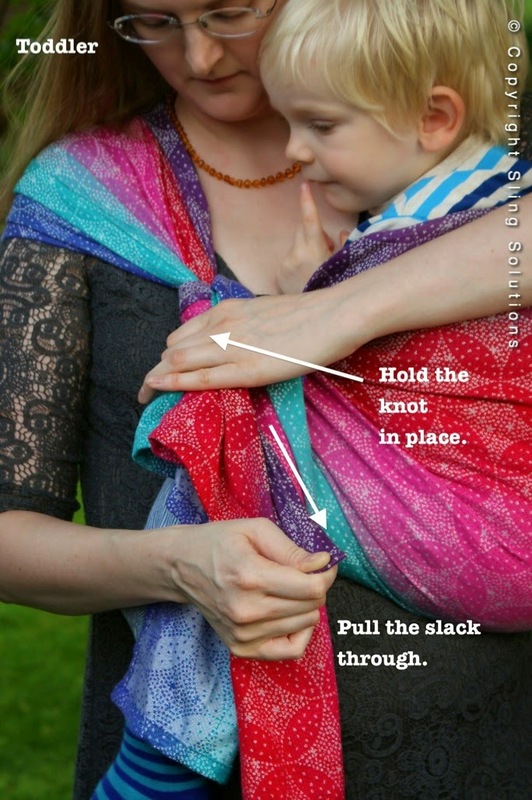 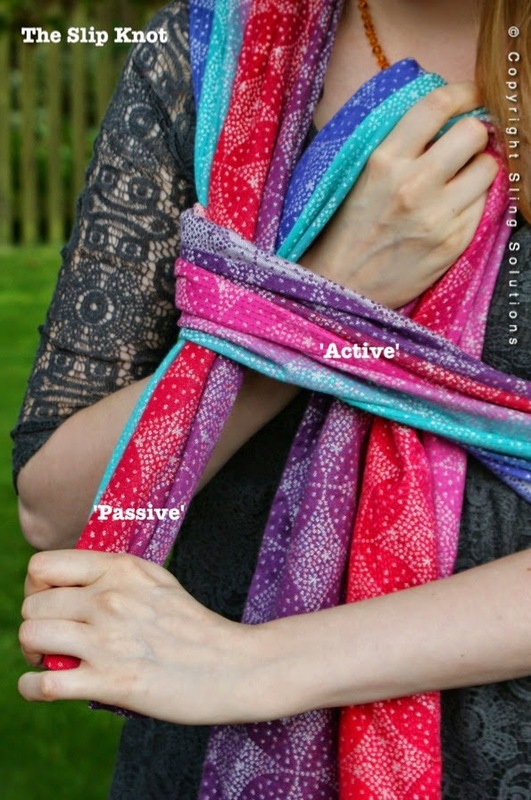 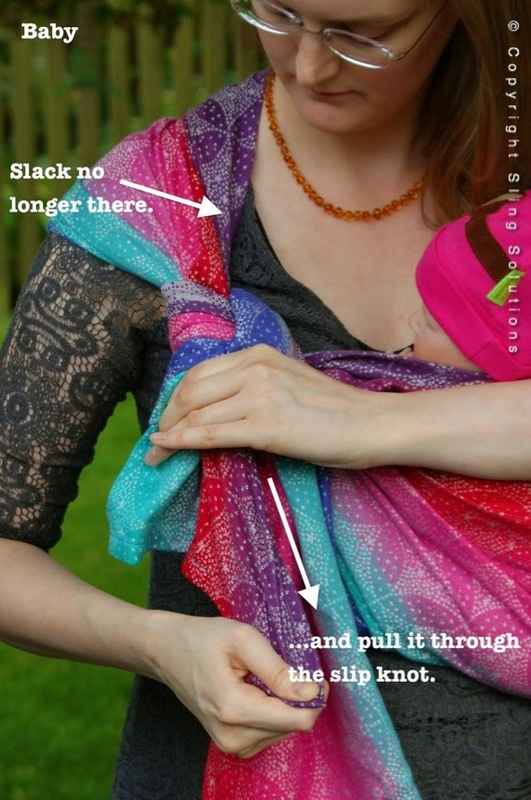 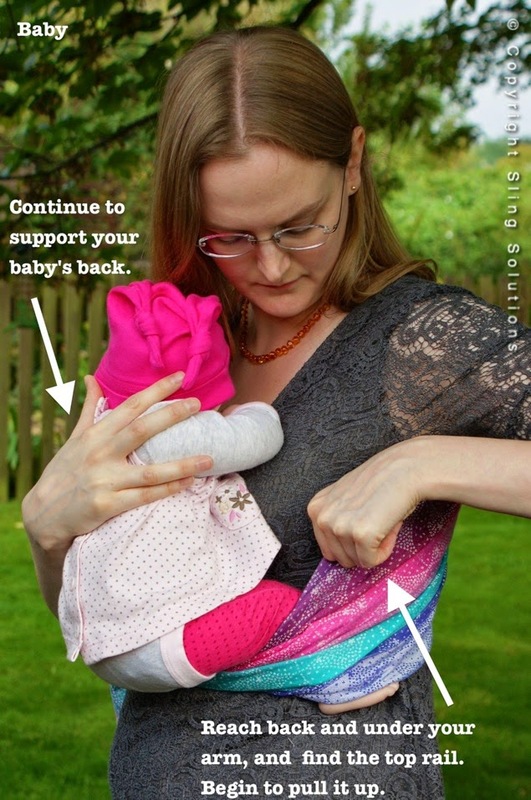 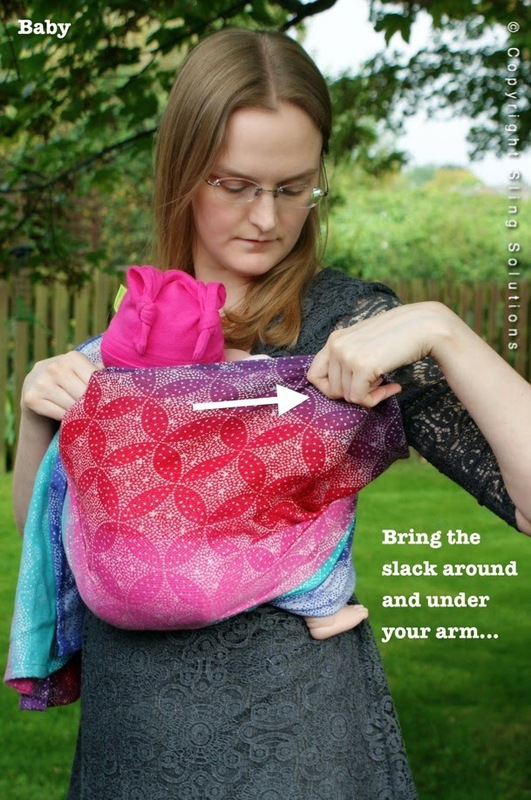 those who are looking for a little help getting their ring sling more comfortable, and learning a few tips and tricks. 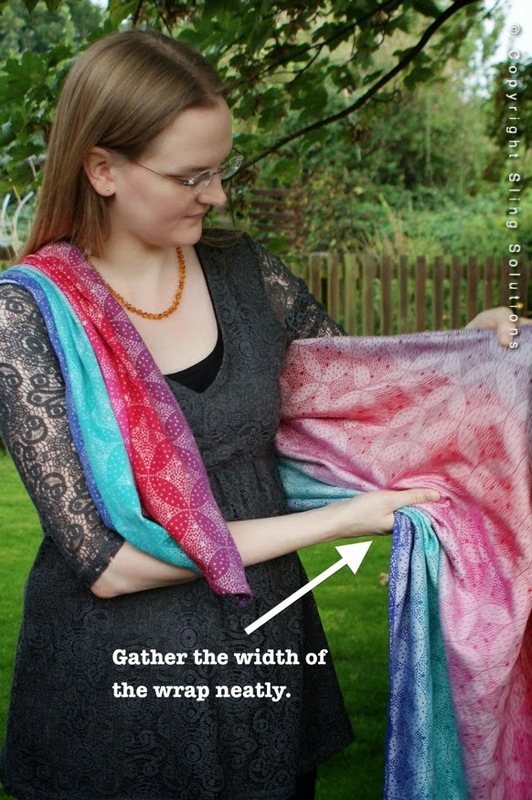 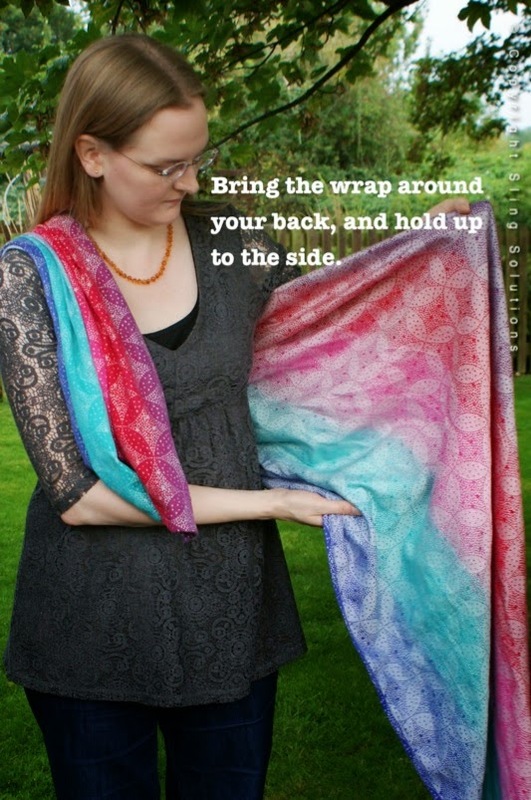 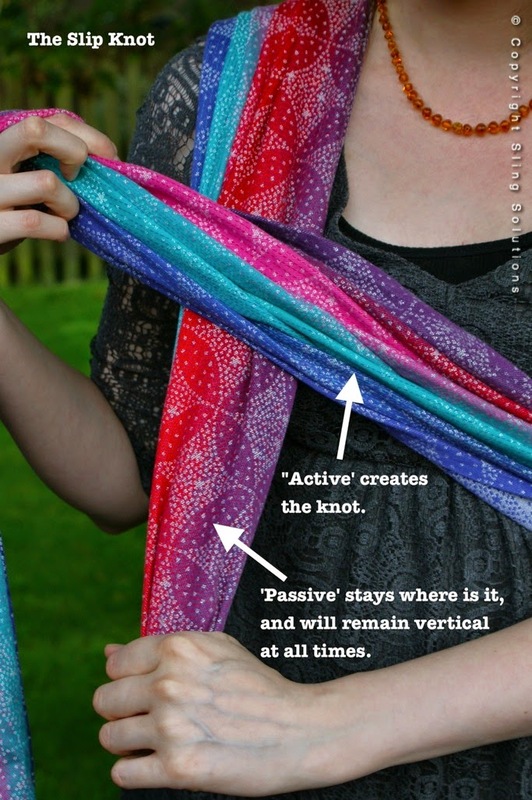 those new to woven wraps who would like to get started, (we won't have time for as much detail as my usual 2 hour workshops, but this should give you a great start with woven wraps). 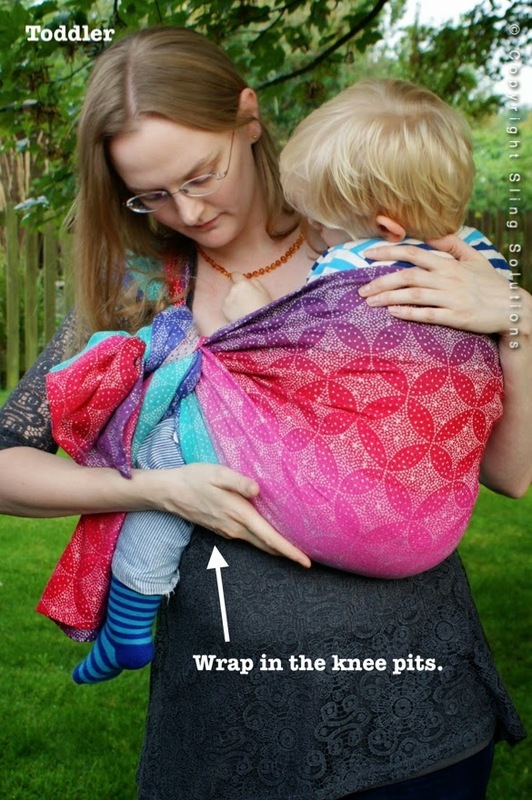 those who would like to improve their front wrapping, to learn a few tips and tricks, and get the carry more comfortable. 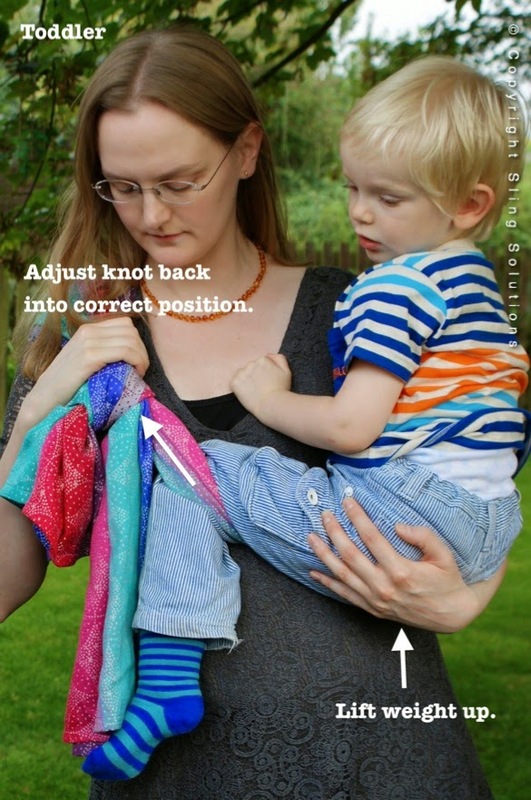 those who would like some help to improve their Kangaroo Carry, to learn a few tips and tricks, and get the carry more comfortable. 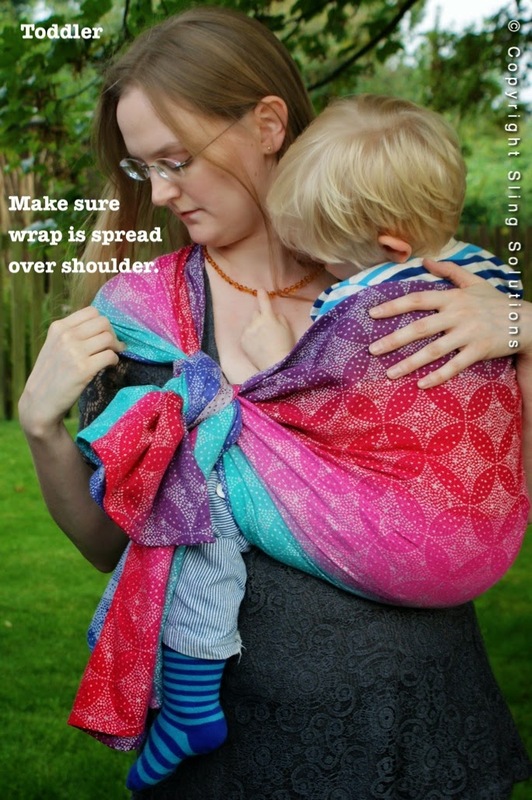 those with some experience of back wrapping. 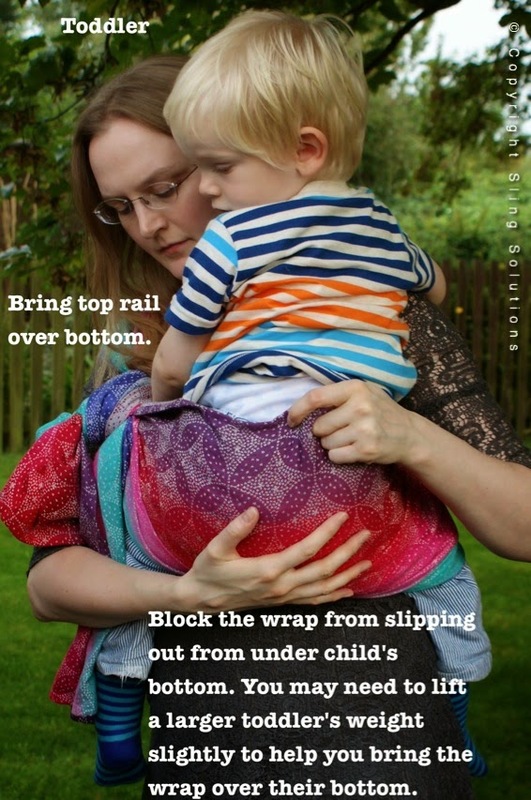 As this session is only an hour long, you already need to be comfortable with getting your child on and off of your back. 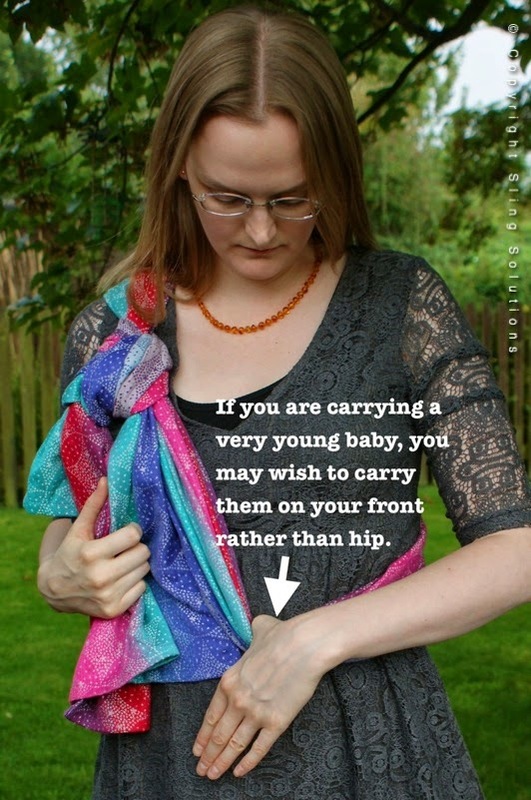 If you are still gaining in confidence, you are very welcome to come along and learn the carry with a demo doll. 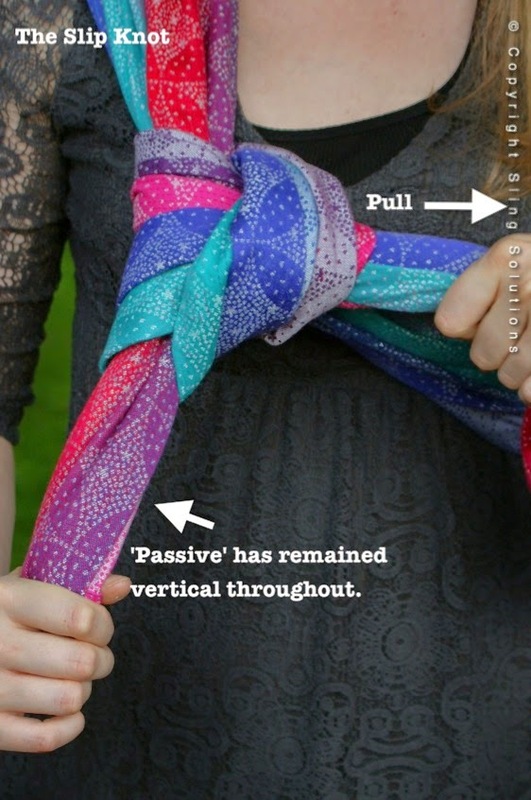 If you can tie a ruck, and would like to move onto a new back carry, this workshop is perfect for you!